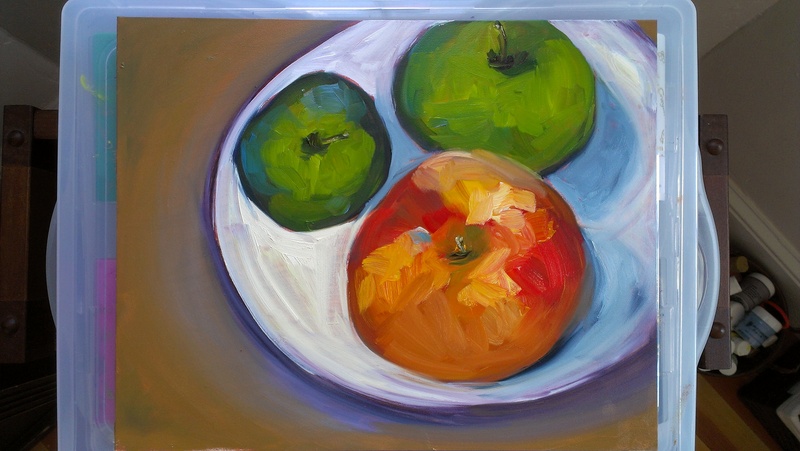 I was inspired today by Cezanne’s apples. Recently I went to the Metropolitan Museum of Art in NYC, and also the MFA in Boston (specifically to see the Bathers on loan from PA). The impressionists are an inspiration. My favorite paintings I saw at the Met: Van Gogh’s Shoes, Cezanne’s Apples and Pears, Camille Pissarro. My favorites in Boston: hands down John Singer Sargent.